YES, SNACKS AND DESSERTS ARE BOTH TEMPTING AND TASTY! But they can wreak havoc on your teeth. For your smile’s health, when it comes to sweets, consider what and when you eat. One Option… Don’t Save Dessert For Last! When you finish off a meal with something sweet, the starch and sugar may end up camping out on your teeth longer while your saliva works to wash it away. Eating other kinds of foods last—such as fruits, vegetables, cheese—speeds up the cleansing process and reduces the amount of time your smile is exposed to potentially harmful substances. Whether they’re increasing saliva flow, providing smile-friendly vitamins and minerals, or neutralizing acid produced by plaque, the foods above can help prevent tooth decay. And they’re delicious too! 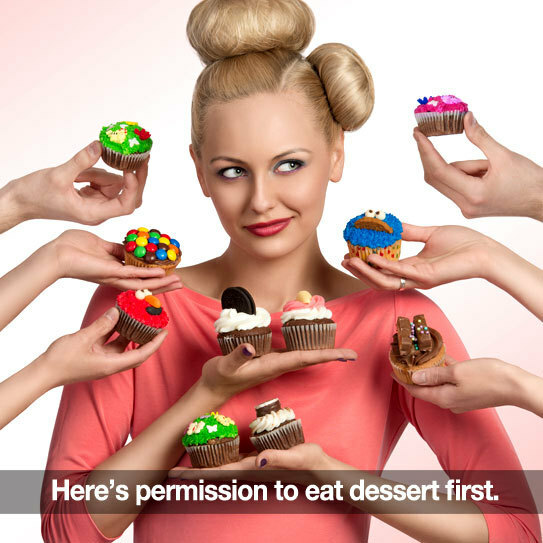 Limit the amount of sweets you eat. When you DO eat something sugary, eat it before or with something else. Clean your teeth after snacks and meals. Again, thank you for the continued trust you place in our practice. We appreciate you!